Figure 10. 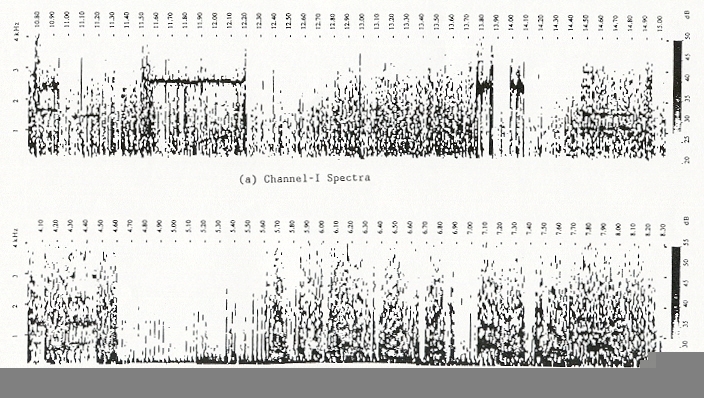 Spectra of Channels I and II for the "Bell" segment. The horizontal axis is time (seconds) and the vertical axis is frequency (kHz). The grey intensity-scale (dB) is indicated at right. Note the left edge is the end of the "Hold-Everything" segment and for the rest of the period the two spectra have nothing else in common.